The locals, which are in the Ontario Minor Hockey Association’s C Division, found themselves playing against teams from B Division centres, meaning they were playing larger cities. Head Coach Mike Ansley said he knew the players would have their work cut out for them, but they were able to hold their own against some of the tournament’s best teams. The team began the tournament with a 15-1 loss to the Petawawa Patriots on Jan. 10. Later that day they came up just short against the Tavistock Titans by a score of 6-5. The Crusaders were close again as they played the Muskrat Voyageurs on Jan. 11, losing the game by a score of 6-4. The team finished the tournament with an 18-2 loss against the Port Stanley Sailors, the eventual winners of the tournament. Ansley said the team played well but there was room for improvement in their gameplay in Pelham, saying they could have easily turned two of their losses into wins. The competition in Pelham, however, was very tough. Some of the teams, he said, showed strategy and skill far above their age division and he was very impressed with what he saw. That experience, however, is helpful for the team, he said, to play against some of the better teams in the province and do their best to hold their own against teams from much larger city centres. 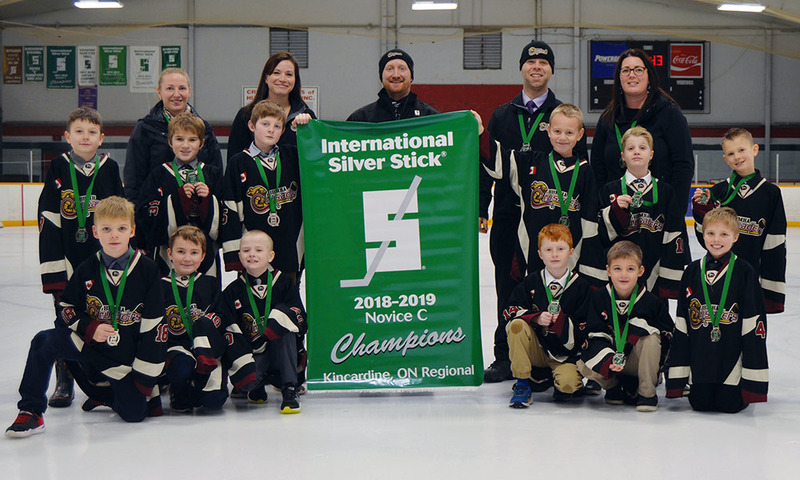 The team is in action next on Saturday morning, taking on the Wingham Ironmen at the Blyth and District Community Centre at 10 a.m.
For more information on the International Silver Stick competition, visit silverstick.org.